Protect your assets. Get your information registered. Don't hassle with lawyers who charge a fortune. 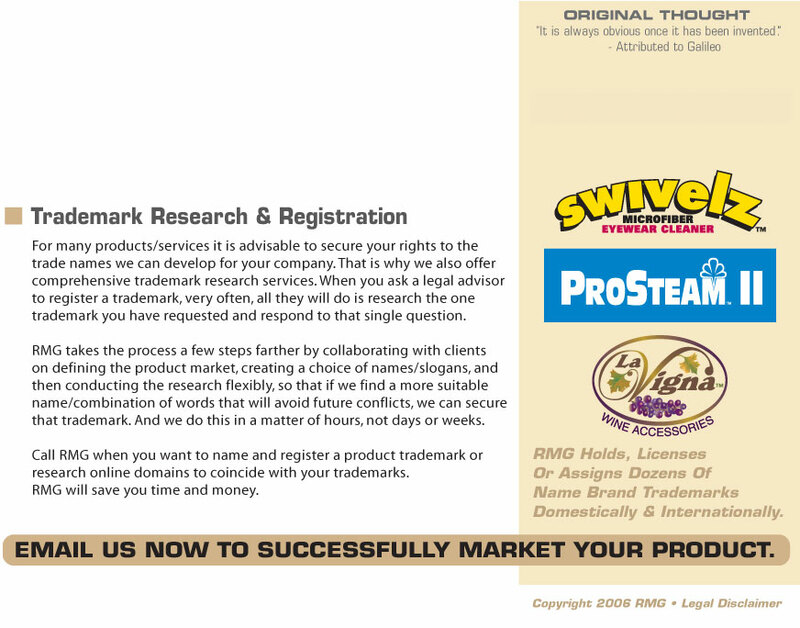 They will only trademark what you tell them. They don't think creatively. RMG will examine your ideas and explore the possibilities out there for alternate names and brands. Call RMG - Our specific ideas create tangible results.